If you suffer from one or more of these problems, you may have Peripheral Neuropathy. And, if you do, you’re not alone. Peripheral Neuropathy affects over 20 million Americans. To schedule a free initial consult to find out what we can do to ease your neuropathy symptoms, call 732-345-1377 or fill out this form. Most doctors have no idea on how to successfully treat neuropathy. We hear almost daily how a patient was told to just take their medications and learn to live with these symptoms. Before coming to our office, people run from doctor to doctor without any answers or relief. It can become very frustrating to hear this over and over again and live with the symptoms of neuropathy. Neuropathy can affect how a person lives their life; affecting their work, hobbies and even sleep. 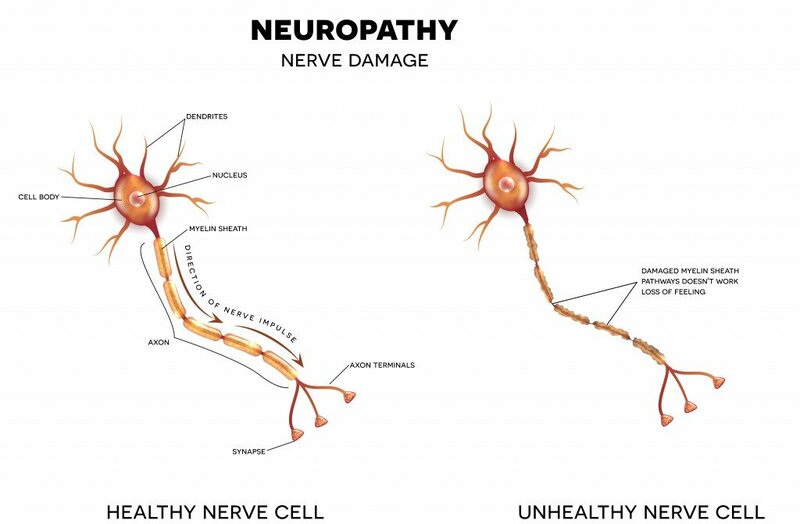 Neuropathy is a condition that develops as a result of damage to the peripheral nervous system — the vast communications network that transmits information between the brain and spinal cord with every other part of the body. Neuropathy means nerve disease or damage. There are more than 100 types of neuropathies. Neuropathy can be caused by diabetes, spinal problems, hereditary disorders, inflammation, medications such as cholesterol lowering (statin) drugs and many more. Peripheral nerves send sensory information back to the brain and spinal cord, such as a message that the feet are cold. Peripheral nerves also carry signals from the brain and spinal cord to the muscles to generate movement. Damage to the peripheral nervous system interferes with these vital connections. Like static on a telephone line, peripheral neuropathy distorts and sometimes interrupts messages between the brain and spinal cord and the rest of the body. Symptoms can range from numbness or tingling, to pricking sensations (paresthesia), burning pain (especially at night) or muscle weakness. Areas of the body may become abnormally sensitive leading to an exaggeratedly intense or distorted experience of touch (allodynia). Figure 1 – Damaged nerves are more exposed causing an interruption of messages between the brain and body. What Do We Offer the Neuropathy Sufferer? The secret to the success we have with peripheral neuropathy is “stimulation”. Stimulation of the nerve cells is key! We offer various forms of nerve cell stimulation utilizing the latest in non-invasive advanced medical technologies. With these technologies we are able to achieve a profound effect on healing. You can’t have nerve pressure or ‘pinched nerves’ and get better from neuropathy. We use patented instrumentation that incorporates a high-velocity, low-force stimulation. This direct force stimulates the nerves and aids in freeing up nerve pressure. This instrument is 100 times faster than the hands. It is a remarkable painless procedure that works great. 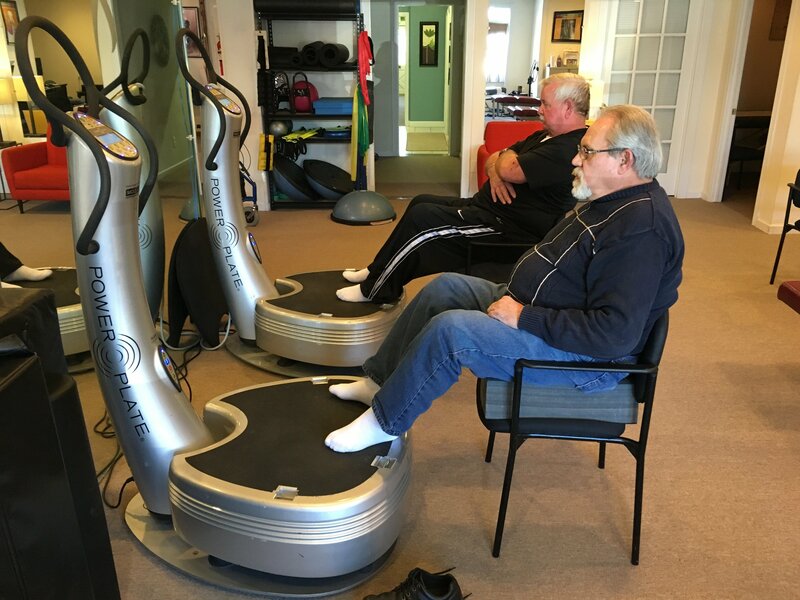 Figure 2 – Advanced Powerplate technology stimulating nerves and helping with sensation loss. K-laser, a state-of-the-art class IV laser has been show to penetrate the tissues of the body and stimulate healing on a cellular level. Much like photosynthesis in plants, light energy passes through the skin, into the cell membrane and initiates a process known as photobiostimulation. This process draws blood, water and nutrients to the damaged areas, enhancing the body’s regenerative properties on nerve cell function. This helps to heal your damaged nerves. Additionally, we have identified specific all-natural nutritional supplements that help to heal and support nerve health to speed up your results. Figure 3 – K-laser treatment working to draw water, blood and healthy nutrient to the nerve cells. We get some of the most severe cases of neuropathy. The truth is, sometime even we are skeptical if it’s going to make a difference or not. Almost always, we are very surprised at the results we get day in and day out. In some cases a patient has suffering for over 10 years – and they have substantial relief in just one visit. There may not be a “cure” for neuropathy, but know that we have seen some patients feel 100% better through our treatments. Hope does exist for you! at night. I have stenosis of the spine and arthritis. After 3 visits I felt minimal relief. I spoke to several staff members and the doctor all encouraged me to continue. I’m happy I did, after 8 treatments my improvement was 80%. I sleep thru the night, my back is stronger, and I can walk up and down stairs with little or no problems. The staff is excellent. I feel 100% better than I was after all of my treatments. It only took me the first week I was coming to feel a change in my physical health. I had severe back, neck and leg pain. Now I don’t have any of the problems that I suffered with in the past. The staff was very polite, courteous and kind and the doctors care about getting you better and pain free. I really appreciate all the help. I’m happy to say my experience with this office was far beyond my expectation. My legs are 75% feeling better, my shoulder is about 65% better, and overall my treatment is doing great. My body in general is doing much better. The doctor and staff are all so good; they explain what they are doing before doing it and how it will help. This is my seventh treatment and at this time I feel good and I look forward to coming here. I was very please with the treatment. I can’t believe I can sleep at night without the terrible feet pain and numbness, something I couldn’t do for a long time. I can walk and dance, I use to use a cane. I now have hope. I take this moment to thank you and your staff for the good help you are giving to your patients. Thank you so much. In the beginning I was skeptical of the treatments because I have tried many things over the last nine years and nothing has worked. I was thrilled that after the first day my feet were no longer cold. I am now able to sleep without socks, which I haven’t been able to do in 8 years. The pain is also getting progressively less. I am able to be on my feet for longer periods of time. This helps me to get more exercise and generally feel better. My family tells me I am more upbeat and fun to be around. I have endured chronic severe pain over three years. The damage caused by compartment syndrome in my legs has changed my life dramatically. I have tried many other treatments but nothing has helped me as much as the care I have received from this fantastic, professional doctor and his staff. My back has suffered over 13 years from a degenerative disc and injured from a bad fall down the stairs. In just over a month’s time, I am smiling and feeling much better. I highly recommend this office to change your life and get your feeling good again. I saw the article and said, “Why not give it a try?” I was diagnosed with peripheral neuropathy in my feet and told there was nothing that could be done just medication. I was trying to live with it. It is such a relief that I can sleep at night. There were times I could not fall asleep for days. I felt relief by the second week. I am looking forward to working again. 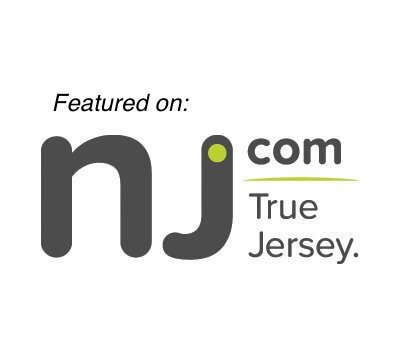 When you make an appointment, we’ll perform a thorough consultation to determine if you are candidate for the technologies utilized at our office. If we don’t think we can help we will steer you in the right direction so that you can get the appropriate care you need.